So, today’s piece takes us to the hustle and bustle of Johannesburg, where Green Code Designs Pty Ltd conjured up a striking residence in Hurlingham. We start at the back, which presents quite the open and inviting look, not only because of the spacious yard/garden, but also due to the fact that this side enjoys much more glass than the front. 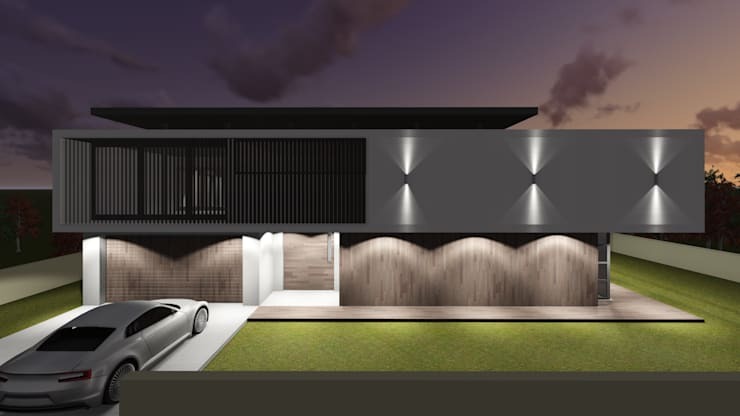 And even though these are 3D renderings of the house’s design, it’s not hard to see the style and relaxation of this contemporary design. After all, how many homes can boast about such a spacious terrace/wooden deck, swimming pool and exterior dining area? Another equally stunning option of this design allows us a slightly different look. 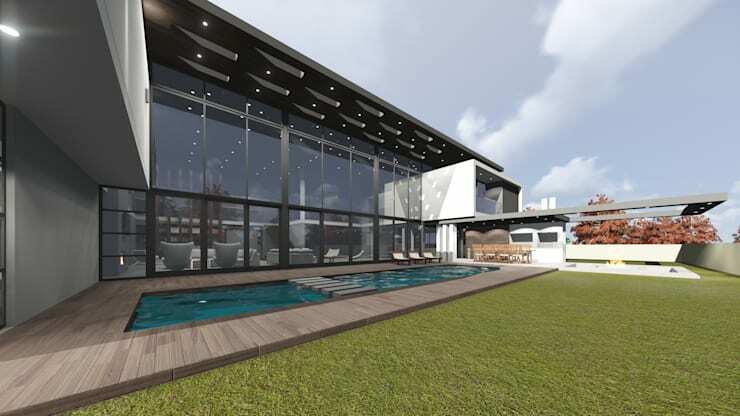 This time, more aluminium frames can be seen adorning the large windows and glass doors, resulting in a look that is not quite so open and transparent as the previous design. Whether you prefer option A or B, both have a modern fire pit at the far end of the terrace, where the residents and their guests can enjoy some supreme socialising while relaxing in front of an open fire. And that cantilevered structure which seems to be floating quite strikingly above the fire pit / terrace is the perfect modern touch. We close off our tour with a look at the house’s front side – and just like we mentioned earlier, this side of the façade is more closed off. However, that does not entail a dull design – just look at the stunning wood adorning the garage door, front door, wall and decking that neatly leads us around the house towards the back. And those modern lighting fixtures provide the perfect combination of illumination and style for this super contemporary structure. 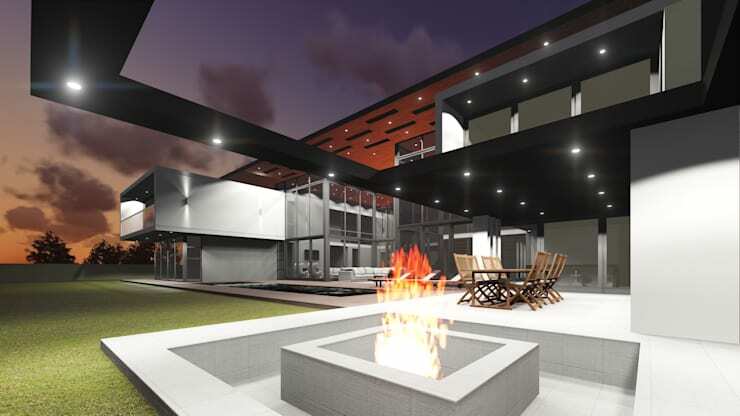 For more sleek (and local) inspiration, we present: The contemporary Johannesburg home. 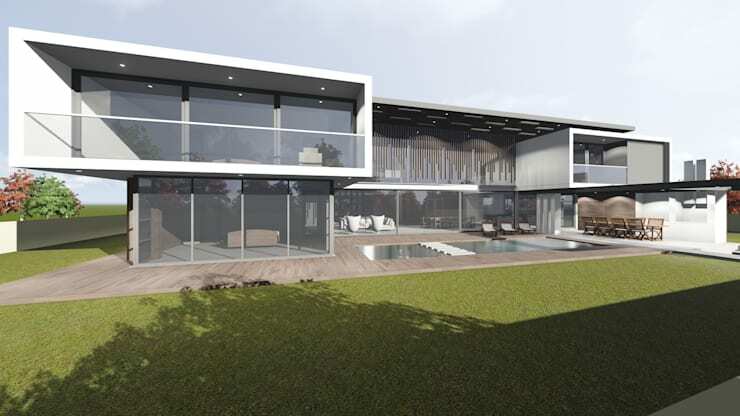 Would you pay R10 million for this contemporary home?